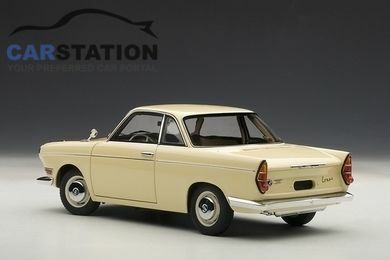 Some of you may not remember the small BMW 700 that was built from 1959 through 1965, but you should know that rear-engined vehicle was a sales success at the time and spawned a highly-acclaimed race car that won the German Hillclimb Championship and the Hockenheim 12 Hour race in its class with Hans Stuck behind the wheel. The road vehicle was powered by a puny motorcycle-source 697cc flat-twin engine that developed up to only 40 HP (69 HP in the racing version), but the car had a curb weight of only 640 kg. More importantly, it was the early 1960s, when BMW almost went bankrupt. Getting one of these in your backyard should be too difficult, but most of them need restoration, which means both time and money. 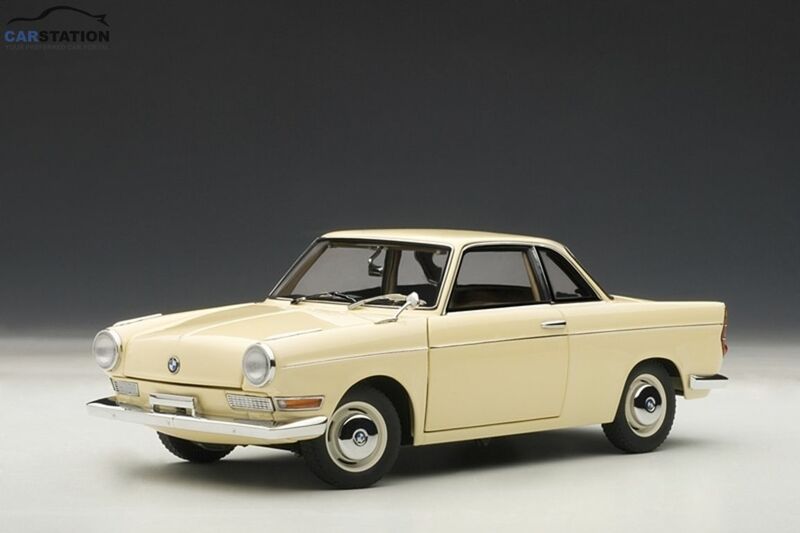 However, classic BMW enthusiasts can now get their hands on the 1:18 scale model Autoart just announced, with three color choices available - Cream Beige, Spanish Red, and Ceramic Blue. Prices have yet to be revealed, but they should cost around €100 in Europe and about US100 in the United States. Quality should be at high standards, just like the racing version the company offered a few years ago.